I have tried to stay away from political commentary and concentrate on what the Holy Spirit reveals to me. But in the wake of Friday's inauguration of our 45th President, I was quite moved at the emphasis on our God in the opening prayers. I will leave the commentary on the President's inaugural speech to those who are more astute at political analysis than I. But I do want to give a short and visceral response, prompted by the reaction of my spirit. First, let me say that I knew on Thursday afternoon, as the pre-inauguration concert came to an end, and the Marine Band sang "The Battle Hymn of the Republic" with all the reverence and respect that those words evoke, that perhaps we were going to see this event in terms that transcended politics. I will honestly tell you that when the last verse was sung. slowly and deliberately ... In the beauty of the lilies Christ was born across the sea, With a glory in His bosom that transfigures you and me: As He died to make men holy, let us live to make men free, While God is marching on ... I felt my spirit stir, and I could not hold back the tears -- not because I was stirred by the patriotism, but because there was such honor and reverence for our God in picking that song to kick off our nation's transference of power weekend. I will say that post-event, in spite of all the attempts by political wonks and hacks to derail the power of President Trump's inauguration speech, I was more focused on the opening prayers. For the first time, in a long time, there did not appear to be an effort towards ecumenicalism, or a global inclusion of false gods. The Christian-Judeo God was at the center of each prayer; the One True God, and I can't help but think that Satan, the Enemy of YHWH, was dealt a tremendous blow. For the first time -- in a long time -- it seemed that there was a declaration that we are a Christian nation! Cardinal Timothy Dolan offered the first of six prayers by various faith leaders, praying from King Solomon's Book of Wisdom: "Lord God, God of our ancestors ... in Your Providence, You have charged us to rule the creatures produced by You; to govern the world in [Your] Holiness and Righteousness, and to render [Your] Judgment with integrity of heart. Give us wisdom, for we are Your servants ... Send Wisdom from Your Glorious Throne in Heaven; dispatch her to us that we might discern what is pleasing to You...". The Rev. Samuel Rodriguez incorporated Jesus's Sermon on the Mount in his prayer offering, emphasizing God's desire that His people represent His Kingdom on Earth. Paula White, whom the press has labeled as President Trumps's "spiritual advisor" began her prayer with "Dear Heavenly Father, in the Name of Jesus, ... we recognize that every perfect gift and purpose comes from You ... Thy Kingdom come, Thy will be done ... Glory to the Father, the Son, and the Holy Spirit... we pray this in the Name of Jesus Christ, Amen." Bishop Wayne Jackson of Detroit prayed that God would give President Trump the wisdom of Solomon, the vision of Joseph, and the meekness of Christ. And then he bestowed the Aaronic blessing upon the President and the nation: The LORD bless you and keep you; The LORD make His face shine on you and be gracious to you; The LORD lift up His face on you and give you peace. Rabbi Marvin Hier invoked the blessings of the Eternal God: "May the days come soon, when Justice will dwell in the wilderness; and Righteousness will abide in the fertile fields; and the work of Righteousness will be peace, quietness, and confidence forever. Amen." The Rev. Franklin Graham quoted from 1 Timothy, Chapter 2: "First of all, then, I urge that supplications, prayers, intercessions, and thanksgivings be made for all people, for kings and all who are in high positions, that we may lead a peaceful and quiet life, godly and dignified in every way. This is good, and it is pleasing in the sight of God our Savior, who desires all people to be saved and to come to the knowledge of the Truth. For there is one God, and there is one mediator between God and men, the man Christ Jesus, who gave himself as a ransom for all...". And then to make sure that we heard the Divine Truth, he repeated one verse: For there is one God, and there is one mediator between God and men, the man Christ Jesus. He continued: "Now to the King Eternal; the only God; Honor and Glory forever and ever. In Jesus's Name. Amen". To be honest with you, I couldn't quite believe my ears. Only one God was magnified on Inauguration Day ... YHWH, who is the God of Israel, the Most High God, and the One True God! There was no attempt to make Him equal to the lesser gods of the world; nor to diminish His Authority or place in our history. I heard the Word expressed in all its infinite Power, and it felt good to my spirit! But I want us to be mindful. Before the Inaugural event even began, the Enemy has infiltrated the media and there were undisguised attempts to cast doubt on the characters of those pastors who spoke Biblical Truth. I am not going to attempt to defend or deny these men and women. I am only assessing the faithfulness and trustworthiness of their prayers. No one can say if this turning towards God will last for our generation and into the future, or if it will be fleeting. But for now -- for this moment in time -- the magnificence of my God was glorified, and I felt He was pleased. May we continue to exalt Him, and may His Name be preserved in the government of our nation forever. ADDITIONAL THOUGHTS: As I consider the Prayer Service that took place the next morning at the National Cathedral in Washington, D.C., my spirit is somewhat troubled that the Service included prayers on behalf of faiths not recognized by YHWH. And I fully understand that my comment would be seen as politically incorrect by most secularists, and some Christians. But I am not concerned with how the world looked upon this holy occasion; I am only concerned with how my God regarded it. In light of the fact that the Inauguration praised and magnified Jesus Christ, and the God of Israel, how would YHWH look upon exalting other gods the very next morning? I understood that as the Leader of the United States, our President is expected to honor all the peoples of this nation; peoples of different ethnicities and faiths. But how did YHWH look upon those prayers to false gods? 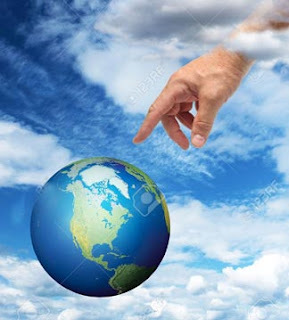 Then my wise husband reminded me of Revelation 5:10: You have made them to be a kingdom and priests to serve our God, and they will reign on the earth. I know that we are called to rule and reign [in partnership with Jesus] in establishing God's Kingdom here on earth. But we are also called to be priests. And what did God establish as the role of a priest? It is to atone for the sins of the nation. So I can pray to my God, and as His priest, I can ask that the sins of praying to other gods be transferred to me, whereby I will repent of them, and asking for forgiveness, trusting that they will be covered in the blood of Jesus. This Prayer Service could then be cleaned and purged of all unrighteousness. It in no way excuses or approves of the sin; but in fact, shows recognition of the affront to my God, and a willingness to atone for the iniquity. Please, Dear God, forgive us of our trespasses, as we forgive those who trespass against us. This clears up a big issue for me. Now I can start my own study with a little more clarity on what you have given me through your writing. Thank You so much. God Bless! I'm sure there were many others who had conflicting thoughts, and I hoped that discussing it up front and honestly, would encourage others to search the Scripture on how God viewed these events. Thank you for taking the time to comment, and feel free to share what God reveals to you in your own study.